Full Sail Partners, a Concur and Deltek Platinum Partner, is pleased to announce the addition of Amanda McClain to the Account Management Team. Amanda joins the Blackbox Connector team as an Implementation Project Manager. In this position, she will oversee implementations for financial related Blackbox Connector integrations. Amanda’s strong finance background in combination with her vast customer service experience will enable her to provide a positive client experience throughout the project lifecycle when purchasing a Blackbox Connector solution. The Blackbox Connector team integrates Deltek Vision and Deltek for Professional Services with ready-to deploy business solutions, including Concur Expense and Invoice Connector, as well as, the Informer Connector that is coming in the first quarter of 2018. With the increase of Blackbox Connector solutions, Full Sail Partners sought a new team member to ensure quality was provided throughout the implementation. 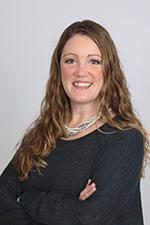 In her role, Amanda will provide clients with a personal point of contact to discuss and resolve any issues relating to their Blackbox Connector purchase.